If you’re looking for a really central base in Seminyak, there are few villas better located than Villa Lilibel. Not only can you walk to the beach and a host of restaurants from here, but the villa is also well laid out, well staffed and brilliantly sized. Living areas are huge and very sociable, yet you can also find corners for peace and privacy if you so desire. The master bedroom was much larger than the other bedrooms and its bathroom easily the most decadent. We thought the other ensuites were perhaps a little dated and not so well lit. And much as we might frown upon such unsocial holiday behaviour, this villa is a TV addict’s dream, with TVs in the main living room, media room (plus sets in all of the six bedrooms) - The three bedrooms off the villa’s entrance courtyard were the quietest and the ground floor rooms would be good for sleeping kids and elderly rellies. We liked the different dining options at the villa: the barbecue terrace is a very sociable venue for long balmy evenings spent dining, wining and chatting. The staff proudly told us that Villa Lilibel’s barbecued pork ribs are a bit of an institution. Unfortunately, we didn’t get the chance to try them on this visit! There’s a reasonably priced menu at Lilibel and a choice of breakfast is included in the rate. The chances are that with so many great restaurants on your doorstep you’ll be eating out much of the time too. The staff were friendly and attentive; there was always someone around when we needed them and they were quick in preparing our meals and drinks. We were impressed with the kitchen too as it was so well-equipped. Keen cooks would be happy here, and all of the provisioning can be left to the staff. We loved the villa’s convivial space and layout - in particular, the cushioned garden balé where we could recline in comfort and gaze back over the handsome villa. We also loved the impressively long (16m) pool - its sunken ‘lounge’ at the far end made it a great spot for swimming, soaking, sunning and socializing all at the same time. Lilibel’s location in the heart of Seminyak is fab and it only took us five minutes to stroll to the beach at Petitenget where we watched the sun go down from our table on the terrace at La Lucciola, cocktail in hand, raising a toast to beautiful Bali! For a relatively urban location, one nice surprise was just how quiet the villa was (we even heard chickens from the piece of land next door) but nevertheless, a certain amount of ambient noise should be expected. The villa could have done with a few more sun beds as there were only four on display during our visit (the house sleeps ten), but since much of the garden was laid to lawn, you could just throw down a towel and tan there. We have enjoyed our stay here. Staff was gorgeous, food delicious and all facilities up to our expectations. Thank you so much. Wonderfull staff, very pleasant and good manners. Kind and friendly, good food, good price. We had a wonderful time with our families in the villa. Everyone enjoyed the friendly staff. The children were delighted with the pool. I think we ate the villa out of spring rolls twice! The rooms were very spacious so all the family could fit in. We had a lovely Christmas Lunch prepared by staff. Everyone enjoyed their time around the pool with the Sonos. Thank you for a great stay and your hospitality. What a fantastic experience staying at Villa Lilibel with family for my 50th birthday. The villa itself was amazing, we spent many happy hours together as a family. The service and attention provided by the villa staff made us feel welcome and nothing was too much trouble. We were sad to leave but take with us some best memories of our holiday and look forward to returning in the future. Thank you for a wonderful relaxing stay. All of the staff were excellent - very friendly and helpful for the whole week. Great with the kids too! Thank you so much for a great stay. Amazing. Our stay at Villa Lilibel was absolutely amazing. A great stay is not complete without great service. The service is definitely 5 stars and the is food delicious. The villa and the service exceeded all of our expectations. We are already planning our return to Villa Lilibel and we can't wait to be back. See you in 2019! We had a fantastic stay, the staff were fantastic and extremely helpful. The food was amazing and a truly wonderful experience. Great place to stay, friendly attentive staff. The Smith family are used to having wonderful holidays but staying at Villa Lilibel probably topped them all. We have been pampered all week and have loved every minutes. Really thankful to the lovely staff who make this place special. Absolutely wonderful! 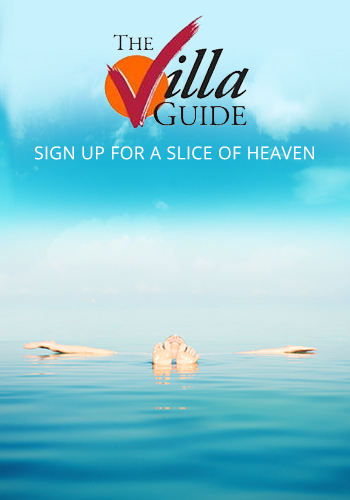 The villa staff were delightful, friendly, very helpful and patient. The facilities were amazing! The in house gym, spa, bar and kitchen all catered for. Thank you so much, we will be back. Thank you for another wonderful stay at your villa. You always make us feel like we are coming back home. We really like the new decorations and accessories around the house and we noticed that the villa is looking well maintained. The staff of Lilibel have always and continue to be helpful and friendly. You all make our stay stress free and comfortable. We look forward to coming back again soon. Thank you for another wonderful stay at your villa. You all always make us feel like we are coming back home. We really like the new decorations and accessories around the house and we noticed that the villa is looking well maintained. The staff of Lilibel have always and continue to be helpful and friendly. You all make our stay stress free and comfortable. We look forward to coming back again soon. Much thanks and appreciation. Had wonderful week. All the staff were great, and looked after us very well. Fantastic staff, thank you for creating such a lovely atmosphere for our family holiday, you are all amazing. Amazing villa and wonderful staff. Thanks for an incredible stay. Thank you so much for a wonderful time spent at Lilibel. We have all thoroughly enjoyed ourselves. The staff are all so lovely and very attentive. 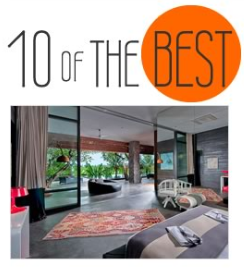 The villa and vista is spectacular - right in the center of Seminyak. We will miss the massages, beautiful breakfast, delicious BBQ and warm days. Perfect place to spend time with family and friends. We would love to come again. What a great stay we had at Villa Lilibel. The staff were amazing with us all, what a wonderful week! The staff were so kind and accommodating. The food was sensational and grounds beautiful. Perfect location for all of us to enjoy Bali. Well recommended. Thank you for all your kindness and help. We had a great stay and you made us feel so welcome. All the staff are all very fantastic - the best barman in Bali. Oka, Edi, Gusto, Renata, Dek Win, Asih, Dika and every body else, thanks. Thank you so much for an amazing holiday. Villa Lilibel is the perfect location for our family holiday. The villa was lovely and well maintained and the staff were wonderful. Nothing was too much trouble. We will definitely be back. Thank you for a great holiday. Absolutely incredible villa with the most amazing service. Edy and the whole team were so lovely. Highly recommend Villa Lilibel and Elite havens to all. We had the best time and the villa was perfect for our group. The staff were first class and helped with anything we needed. Everyone was friendly and never intruding. The food was wonderful and chefs lovely to talk too - even gave us the recipe for his fantastic sambal. We would highly recommend this villa and the staff. Everything about our stay was lovely. The villa staff are exceptional - their attention to detail is wonderful. Both Eddie and Gusti are extremely professional. Thank you all very much. The BBQ was great with delicious food as were the breakfasts. The staff were always happy, helpful and friendly. Food was great, good choice and selection. Villa was clean. Would recommend to friends. Wow! What an incredible villa. Our party of 10 had the best stay. The staff are absolutely wonderful and the villa itself was clean and comfortable. Villa Lilibel has been fabulous. The staff have looked after our family of 12 amazingly including the baby and young children. We are very sad to leave the villa and hope we can come and visit soon. Beautiful villa to spend my 60th birthday with special friends. The staff turned the stay from good to great, they were attentive without being intrusive! The food was amazing. Enjoyed my stay, it was amazing and will recommend the villa to everyone. Thank you. Amazing, beautiful, best villa and friendly staff. 10 out of 10. I would highly recommend. This was the first time any of us - 12 people have been to Bali. From the time of arrival - nothing was too much to ask for. The staff helped with everything from beer to take away pizza and day trips. They were always super friendly and made this trip and reunion a once in a life time experience for everybody. Thank You. Well where do i start?. This venue accommodated our entire family of 6 young children and 5 adults in such an intimate way including having breakfast, lunch, dinner. All on 1 table which was important to us as quality family time. The food was superb, the venue was incredible actually better than the photos. The staff were not in your face but always on hand wherever you needed something and I'm talking about 2.00 am in the morning too. Nothing was a problem which made our holiday truly a holiday we will never forget. Thank you so much. Our stay at Villa Lilibel was amazing! The villa is absolutely stunning and all the staff are attentive, friendly and make some killer cocktails. I will be recommending Villa Lilibel to my friends and will definitely be back. Thank you for taking such good care of us on our holiday. Your staff was incredibly welcoming and obliging. we would love to return here for many more holidays. We love Bali!. Our stay at Villa Lilibel has been absolutely fantastic! The Villa is beautiful, we couldn't have asked for a better place to stay. The staff couldn't do enough for us, they were marvelous, nothing was to much for them. Food was so good! A big thank you to Edy, Gustu, Renata, Gede, Arus, Oka, Asih, Dika, Puspa, and Yudik. Your management should be proud of you all. We will recommend Villa Lilibel to all of our friends and look forward to returning. We found that upon arrival at the airport our driver was on time, bringing us back to the villa with Bali traffic it took some time. So when we arrived the villa was a wonderful surprise. The staff were very welcoming, polite and smiling. The rooms were very neat and tidy, clean and with above standard amenities. The garden surrounds were lush and kept. The Bar area was spacious. The pool was spectacular and certainly the total point of the villa. All air conditioners were quiet and rooms cool. We had the staff organize a birthday party and it was well above many restaurant in and around Seminyak. Well done guys. Our entire group of 14 peoples all commented how good the villa and it's staff were with one couple in our group looking to book in the future. The service was amazing. The staff were very attentive and friendly, they kept the villa clean, we were all well fed and they made our stay all the more enjoyable. Thank you. We had warm welcome, great to see all the staff again who were friendly, attentive and discreet. Always good service with a smile. Great home cooking and the villa was kept nice and tidy. Looking forward to our next time. Villa Lilibel management - we would just like to say thank you to all for our most wonderful stay at the beautiful Villa Lilibel. It has been beyond words how amazing everything has been. The staff have been wonderful in their care and service for our stay, 6 STAR SERVICE. Nothing was too much trouble for them. After staying here we would never go back to staying in a hotel. We will definitely be back for another stay. We can't thank you enough. Brilliant stay, thanks to happy wonderful staff!!! Villa Lilibel has exceeded expectations. Thank you for your professional and hospitable service. Great villa to stay - loved every minute of our holiday. Thanks to all staff. A beautiful villa, friendly and helpful staff made it an experience we will never forget. Thank you for everything. The location is great, very convenient while still very quiet and secluded. The staff are wonderful, extremely helpful and exceptionally friendly. The food is amazing, we can't wait to come back. Thank you Villa Lilibel we have had a fabulous time. Lilibel is the perfect villa for our Bali holiday, sensational accommodation and excellent service a staff. Cheers to you for a memorable time. Amazing time. Great place. Friendly staff. Couldn't have asked for a better experience! We would just like compliment the staff at Lilibel for outstanding service and making our holiday extra special. There were no problems with our requests, all staff went above and beyond to assure we were look after. It was greatly appreciated. We would recommended Lilibel to our friends and family and we will definitely be staying here again. Thanks again. Treema Khasi - Thank you to all the beautiful staff at Villa Lilibel. We have loved staying in Bali this week. We are so relaxed and look forward to returning to Bali one day in the future. Thank you. Perfect location, excellent facilities!. Can't wait to come back again!. Everything was amazing, for beyond expectations. The photos online don't do it justice. To say we are blown away would be an understatement. We absolutely adored our stay here, everything from the smiles on all faces to the views to the unbelievable service. Thank you. Thank you for the amazing "holiday". It was truly a memorable and enjoyable experience. Five days in paradise!!!!! Well worth the travel from Europe and Australia. Awesome staff, beautiful surroundings and lots of fun and laughter. To all the incredible staff at Villa Lilibel. Thanks for making our 2nd stay here just as amazing as our last. We love the location, the food, the service and the accommodation is outstanding. We will be back! Thank you for an amazing vacation! We had the best time with you. The kids loved swimming and running around. We were all so well looked after! We will definitely be back and telling our friends all about villa! To the team at Villa Lilibel, thank you for the most fantastic 10 nights. You have helped make my 30th birthday a very unforgettable one. Little Isla has had so much fun! From the rooms, the food, the pool and the amazing staff, it could not have been more perfect. We will definitely recommended to all family and friends! Thanks again. We had a wonderful time celebrating my 30th birthday here in Bali. The staff and the villa were exceptional and I will certainly be back in the future. Thank you for looking after me and my guests so carefully. Dear Lilibel, we had an amazing stay at your gorgeous villa. The staff are truly amazing, friendly and very efficient. Will be definitely recommending and staying again in the future. Thank you for your hospitality. The food was good, villa is comfortable and service good. We enjoyed the chicken wings very much! Thank you for letting us stay, we had so much fun! We had the most wonderful time - thank you so much. The accommodation, customer service, food and location beyond five star. This villa is simply stunning and we will be sure to be back. Most importantly thank you for your beautiful smiles!! We will miss being so wonderfully pampered. It was a real pleasure to stay here. The food was absolutely wonderful and great. The staff was full of smiles and all the time willing to help in any possible way. Our vacation was very beautiful and full of joy and happiness. For sure we will be back!!! We hope that our party's here didn't make to much problem to you, but the atmosphere was so great that we couldn't stop party until morning every night. A million thank yous for all your friendliness, your help, smiles and your lovely happy spirits and soul that made our family vacation one of a kind. Our stay in Bali and at Lilibel villa has been amazing, comfortable, clean, with great and super staff who were extremely accommodating. We were happy every single minute of our stay. Beautiful villa, excellent staff, relaxing atmosphere. Thank you! Lovely staff, very friendly and helpful and fantastic food. Thank you for making a great 80th birthday celebration with the whole family. We had great time, love to come back one day. I will miss all of you. It has been an incredible celebration of our 40s!! Special thanks to the great staff that provide our everything and treat us as princesses. The villa is amazing and we had a great time!! We couldn't expect more of this great trip! Hope we could repeat it!! CHEERS! Thanks to all the staff at Villa Lilibel. Kindness, courteous and hospitable. Lovely villa and great service. We had a wonderful 4 days with great food. Amazing stay, Thanks a lot to all the staff - The Dream Team of Villa Lilibel. Edi, Gustu and all the staff, a big thank you!!! You're the best. Hope to see you next time. Our entire family thank you for the luxurious accommodation, friendly service and excellent food. All 15 of us including the three grandchildren totally relaxed, gathered for large scale meals and enjoyed the pool, gym and facilities. Thank you Eddie and the whole team. We love Lilibel. Thank you to Edy and the Lilibel staff. We had a beautiful week. Thank you for all the kind and timely services! Big thanks to Edy and the team here at the Lilibel! Service & experience was amazing - would highly recommend. To all the wonderful staff at Villa Lilibel, thank you very much for a wonderful time, the service and facilities were just amazing! We will be back. Had Great time at the Villa! It's spaciousness is ideal for our family of 13, very nice pool and serene surrounding yet it is close to lots of restaurants, cafes, shopping and the beach. Potato head is nearby, will comeback again. Wonderful service from the villa staff too. Fantastic villa, thank you. To all the team at Villa Lilibel. Life at Villa Lilibel is an escape from reality. Beautiful surroundings, gorgeous pool, spacious rooms and close restaurants and shopping! A perfect week away with the girls! Thanks for everything. Dear Edy and all the staff at beautiful Lillibel, It's been a wonderful 2 weeks holiday in Bali and spending our time at Lilibel has been wonderful. We have had a great rest and delicious food. This is one of our favorite villas in Bali, the staff and facilities are great. We cannot wait to come back again soon. Thank you all again. To Eddy and all the staff, a BIG thank you to you all for all your hospitality, care and kindness. You're much appreciated and will be a fond memory of what made this trip so wonderful. Thank you!!! A big THANK YOU to the entire team @ The Lilibel! We had an amazing family holiday here and enjoyed every second of our stay! Thank you to everyone for looking after us and making us feel at home - including birthday cake, BBQ feast, Fish Bonanza and even a chicken soup for fixing the Bali - Belly...and heaps and heaps of bacon. You have all made our stay an unforgettable one - THANK YOU!! Thank you Edy and your wonderful team - we had a glorious time at Villa Lilibel. You made everything so easy for us all. We had so much fun! We will take away great memories. Thank you to the Lilibel family for showing us a great time over our week holiday in Bali. The service was superb and the facilities were fantastic!!. We will be heading home super relaxed and look forward to our return in the future. Thanks again.. you amazing team. How amazing is this place, it captures the essence of zen relaxation. Amazing service and staff. Thank you to you all for this wonderful memory. Eddie you are the best. Thank you to all the staff of Lilibel, you went beyond all my expectations. I will be back. Fabulous time, great staff, love.. love.. love Lilibel. Will recommended and return again and again. Thank you. Edy, Oka and the Villa Lilibel team - Thank you!! We had a fantastic, relaxing 5 nights with you. Thanks for catering to our every need. We have been very spoilt!! What an amazing place! We had such a good time, thank you so much for making endless Nasi goreng!! The food, the ambiance, everything!! The staff are so friendly and accommodating. We never want to leave. Thank you for all the lovely staff. The week spent here was amazing. Chef - you are the best, to cook for a week was awesome. A place away from home! Thank you. Thank you to Edy & Staff. We all had an amazing time in your beautiful villa. Thank you so much for having us, we had an amazing time. You handled a big group of happy girls like professionals! Thanks for the best hens day ever! Thank you for a wonderful stay. You were all very helpful, nothing was too much trouble. The villa was perfect for our stay. We will come again. Once again thank you very very much for making our holiday special. Great breakfasts and dinners! Thank you all for making our stay here such an amazing holiday - true luxury in every way. From the moment we arrived, we felt like our every need was taken care of. The staff have truly been so warm, friendly and helpful and the food was delicious. We have found our piece of paradise and look forward to returning again and again and again and again!! Thank you all so much for your warm, kind & always smiling hospitality. Our family from all around the world just loved coming here together to have the best family holiday ever. The food was amazing but what we love most is the beautiful, warm, giving nature of the Balinese people. We will be back to stay with you soon......Thank you so much again for making our holiday so special!! You're all the best, thanks for cooking as endless amounts of muesli and omelettes and keeping us nice and full. Thank you for another wonderful holiday @ Villa Lilibel. You have all been amazing. We look forward to seeing you again soon. Our second visit and certainly won't be our last. We love every minute at Villa Lilibel. We spent a week here celebrating mt father 60th Birthday. We have all had the most amazing time. Villa Lilibel is a true home away from home. We have never been so well looked after your lovely, professional, beautiful and amazing staff made our stay so special. they made sure everything was perfect. All our meals were so tasty and yum. We will be back. Villa Lilibel is the best villa I meet in Bali. Hope we can come back again. see you and thank you. We have had an amazing stay! We felt totally welcome from our arrival, pampered through out our holiday and very sad to leave. What a great place to relax! Plenty of room for the kids to run around and play while their parents entertain themselves in one of the many lounging areas. Staff were all attentive and friendly. Can't wait to come back. Thank you everyone. Thank you very much!! Everything here is so nice. I wish I can come back here one day. Thank you for everything you did for us. Your beautiful smiles and making us feel very welcome and that nothing was too hard. We have felt truly spoiled and pampered. The staff have been an absolute delight attending to every need, we could have imagined. You have made it very hard for us to go back to reality. We will be talking about this holiday for years to come. Beautiful memories, beautiful villa, beautiful staff. Hope to come back one day. Thank you for making our stay with you one of the most memorable holidays we have had. It was such a pleasure and a privilege for our family to be together for Christmas and New Year, staying in such a beautiful villa and being looked after so well by you all. It has been truly wonderful. We will all go home, feeling refreshed and ready for the challenge that life may bring. Thank you once again and may 2016 be all the things you would like it to be. Thank you very much for such a fantastic time. The villa is lovely and the service was spectacular! What a wonderful place, we hope to see you all again soon. Thanks for a wonderful stay and all your effort. You were as welcoming and refreshing as an ice-cold Bintang from the first sip to the last drop.....(* not bintang zero). Food was fantastic - thanks Renata. The pool was great, great location. What a week!! It doesn't get any better than this. Another special thanks to Edy for sharing some of The Bali culture with us.I don't think the staff could have seen any more friendly or accommodating. This villa has it all from the coffee in bed to an evening swim - no more hotels!! Once again, we had a lovely relaxing time at Llibel and your service and attention was first class. You looked after my guests and made it very special and the food was lovely (Thanks Renata). We look forward to seeing you all again soon. Top shelf. Wonderful staff. Loved every minute. Loved everything. Felt privileged. Disappointed to leave. Fantastic with kids. Highly recommended. Thank you. Most Appreciated. We have all had a wonderful time here and have great enjoyed the fabulous hospitality from all the team. Thank you Villa Lilibel! To the amazing staff at Villa Lilibel, thank you for making our stay so memorable. We all had an amazing time celebrating our 40th birthdays and couldn't have asked for a better place to stay with the great food, villa + staff. This is paradise. Possibly the best hosts we have experienced here in Bali. We've loved every minute at Villa Lilibel. Had an amazing stay at Villa Lilibel. The staff, the food and the setting made for a truly unforgettable vacation. Already counting down the days till my return. I have had the most beautiful stay at this villa. The location is amazing and so close to hundreds of shops and places to eat. The villa itself is absolutely beautiful and the staff are beyond kind and helpful. I have loved staying here and would love to come back! Would highly recommend. A very memorable vacation. The venue fantastic, the staff attentive and lovely. Thank you Edy and staff for a wonderful experience for the family. Thank you Eddy and staff for cooking our suckling pig, that together with all of the service. We had a wonderful time celebrating Pete's 70th birthday. Thank you for the cake. A good location and a good time had by all. What an incredible experience staying at the villa, your kind and caring hospitality was a real treat!. Thank you for feeding us incredible food and taking care of our every need, you were all fantastic. What an amazing week for my 40th birthday. I want to thank you and the team so much for amazing warmth and hospitality. And of course Villa Lilibel is absolutely beautiful. Thank you all for the service provided by Villa Lilibel. It was an excellent experience for us in Bali. We are wishing to come back and see the team again. Oh by the way the breakfast and food is good too! Bali & Villa Lilibel are a dream come true! Staff is best-in-class. Thank you for an epic experience! Dear Edy, Mina, Chef, Justin and team - Thank you! What an amazing stay! We have all had the most amazing time. The villa is beautiful, the team has just been amazing, the food has been wonderful. we will definitely be back! Thank you. Absolutely amazing Villa situated in the heart of Seminyak - Fantastic and friendly staff that went out of their way to ensure our stay was memorable - We will definitely be back! Friendly and helpful staff. Beautiful and clean villa. I was very happy when I walked in to Villa Lilibel - I knew immediately I had made a good choice. The villa was beautiful and far more spacious than it looked in the website photographs. Great location. The staff were ever so obliging and helpful in coordinating everything we needed. I'm now planning my next trip to go back. As a large group we all loved Villa Lilibel. The photos online don't do it justice, It is actually much better than it looks! From the moment we arrived we all felt very relaxed. The two small children in our group were very well accommodated during our stay and your staff made them feel extremely welcome. The location of the Lilibel is fantastic and we loved the fact that the driveway/laneway leading up to the villa is so very well lit and safe to walk in at any time of day and night. Thank you for making our 2015 trip to Bali very memorable. We stayed at Villa Lilibel as a group of 12 good friends and a toddler. From making reservation online to arrival to the villa, we were pleasantly surprise by the high level of service provided by the staff. All of us enjoyed the 16m pool very much, and we managed to hang around in the living room almost everynight watching the huge tv. The villa is perfect for big family or a big group of friends. The staff are very attentive, and helpful. We could not be happier for choosing to spend 4 days at Villa Lilibel. This is a lovely place for a family getaway. The villa is beautiful, spacious and clean and the staff were all extremely friendly and attentive. The location is perfect, 5 mins walk from Seminyak Square but yet it's quiet and peaceful inside the villa. Had a wonderful stay and will definitely recommend it to everyone. We really enjoyed our holiday in villa Lilibel this time. The environment and facility are great for family gathering, and kids friendly as well. The BBQ dinner we had for the CNY eve was very nice as well. The most amazing is the service and super friendly staff. They helped to arrange the meals, restaurants, massages, and transportation with great hospitality. We felt we were so well pampered by all the staff. Thank you everyone in villa Lilibel for bring us such a great time. We absolutely loved our stay at Villa Lilibel and wouldn't hesitate to recommend it. It is in a fantastic location, very central to everything and also located down a quiet laneway so still very private and secure. The staff were wonderful, nothing was too much trouble, they were so friendly and helpful and always had a smile on their face. The villa itself is beautiful, very spacious with plenty of areas to relax and unwind without being on top of one another. The photos on the website do not do this place justice - it's even better in real life! We would definitely stay here again. based on 113 user reviews. If you’re looking for a really central base in Seminyak, there are few villas better located than Villa Lilibel. Not only can you walk to the beach and a host of restaurants from here, but the villa is also well laid out, well staffed and brilliantly sized. Living areas are huge and very sociable, yet you can also find corners for peace and privacy if you so desire. The master bedroom was much larger than the other bedrooms and its bathroom easily the most decadent. We thought the other ensuites were perhaps a little dated and not so well lit.